To call this clause of the Constitution “overlooked” is an understatement. The authors of the Federalist Papers spent little or no time discussing the meaning of this clause. The Supreme Court, when asked to interpret this clause, has generally admitted that it doesn’t have the slightest idea what it means—with the consequence that the Court has rendered the clause irrelevant and left it devoid of meaning. This is a shame because, properly understood, I believe that this clause is one of the most important in the Constitution. The federal government guarantees every state a Republican form of government. What does the word “republican” mean? It certainly does not refer to a specific political party. Political parties did not even exist in 1789. Today’s school children are generally taught that the clause is intended to guarantee that state governments use the mechanics of representative democracy over the mechanics of direct democracy. This interpretation is incorrect. While the Framers often wrote of the benefits of a political system whereby voters elected representatives who would make important decisions on their behalf, especially in instances where the geographic territory to be governed was large, the Framers never expressed the opinion that the direct exercise of democracy by the people should be prohibited. Indeed, this incorrect interpretation of the clause is dangerous because it has led some observers to question the constitutionality of state-wide voter initiatives altogether, such as the ones that regularly go before the voters in California. These types of initiatives may be unwise as a means of using direct democracy to determine the policies of state government. But the use of state-wide initiatives of this type is certainly constitutional. So if the “Republican form of government” clause does not prohibit the use of direct democracy as a means of state government, what is its purpose? Simply stated, the clause prohibits the people of any state in the Union from amending their state constitution in order to adopt a monarchy or an aristocracy. Recall that, prior to 1789, national sovereignty had always– with few exceptions– been lodged in either a monarchy or an aristocracy. It was a novel idea to declare in 1776 that sovereignty belonged in the hands of the people. Never before in human history had a nation of the size of the United States declared its intention to recognize its entire people as the ultimate sovereigns. However, after the Articles of Confederation were adopted following the Declaration of Independence, the national economy was reduced to a shambles and our young country’s national security was questionable. 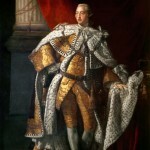 By 1789 it was natural to fear that the population in some states might eventually backslide and seek a return to a monarchy as a way of restoring public confidence and preserving order. What Article IV does, then, is to deny to the people of the states the sovereign power to choose monarchy as a form of government. This clause forever circumscribes the freedom of the people of a state to choose the way in which they govern themselves. The denial of state power in this regard is necessary, because leaving the residents of a particular state with the absolute freedom to choose any form of state government would be an infringement upon the sovereignty of the people of the nation as a whole. In fact, by stating that the federal government will “guarantee” a republican form of government, the Constitution makes it clear that the federal government is granted the power to enforce the prohibition on monarchy by force of arms if necessary. Article IV makes it clear, even more explicitly than the Supremacy Clause in Article VI does, that the sovereign power of the people as a whole, as expressed through the federal government, is supreme over the sovereignty of individual states. If one state were to institute a monarchy, it would destabilize the entire Union of states. In 1789, monarchies were viewed as inherently militaristic. Monarchies place the decision of whether to resort to force within the hands of one single individual, where it is not subject to any checks or balances. For a king, an increase in personal power and an expanded border provide mutually reinforcing temptations for invading your neighbors. If the residents of one state were to adopt a monarchy as their form of government, neighboring states would feel threatened. Monarchies require standing armies to maintain the king’s authority, and in order to redress an imbalance in power neighboring states would be forced to follow suit. An alliance between two state monarchies would inspire neighboring republican states to enter into mutual defense pacts. Imagine a United States with fences and checkpoints at the borders between the states. The best interests of the nation as a whole require the residents of each state to cede away a portion of their political sovereignty to the nation: the ability to choose any form of state government that they desire. This has important implications. It implies that Lincoln was correct when he declared that the southern states had no right to secede from the Union. While the text of the Constitution is silent on the right of secession, Article IV is an example of an overall constitutional structure that denies state residents the power to exercise political sovereignty within their own borders in a way that threatens national unity as a whole. The denial of an absolute state power to secede is no greater a restriction on state sovereignty than the denial of an absolute state power to adopt a monarchy. Some scholars have argued that Lincoln had to reinterpret the Constitution in order to impose a federal government of all the people that was supreme over the states. In actuality, Lincoln was merely being faithful to the Constitution’s original design. This understanding of Article IV Section 4 also implies that the Supreme Court was correct, in U.S. Term Limits v. Thornton, when it ruled that it was unconstitutional for states to amend their constitutions in order to impose term limits on their residents elected to federal office. The Supreme Court’s majority opinion in that case relies upon a tortured interpretation of the various qualifications clauses of the Constitution, and the majority opinion raises Article IV Section 4 just long enough to dismiss the clause as irrelevant. However, in the end the Court gets the basic point right by holding that state constitutions cannot impose term limits for federal office. In his dissent in that case, Justice Thomas asserts that the Constitution’s authority depends on “the consent of the people of each individual State, not the consent of the undifferentiated people of the Nation as a whole.” Had the majority not overlooked Article IV Section 4, the majority opinion would have had a greater textual basis to rebuke Justice Thomas. Contrary to Justice Thomas’ assertion, the Constitution does take away from state residents the absolute power to control their own form of state government in cases where the national political structure is implicated. The sovereign power to make decisions affecting the political structure of the nation as a whole rests with the people of the nation as a whole, not with the people of one state. The text of the U.S. Constitution contains several clear statements that prohibit the states from frustrating the economic unity of the nation. Economic protectionism is clearly precluded by the commerce clause, the privileges and immunities clause, and the full faith and credit clause (note that the latter two are also located within Article IV). The fact that the text of the Constitution is far less clear about the predominance of federal interests when it comes to political unity has been the source of great debate and conflict during our nation’s history. The debate between centralized power (sovereignty with a federal locus) and decentralized power (sovereignty with a state locus) goes back to the Federalist debate with the Anti-Federalists. Even Madison and Hamilton themselves possessed contrary views on the matter (Madison generally favored decentralization while Hamilton strongly favored centralized government). Commenting on the internal inconsistencies within the Federalist Papers on this topic, and the text’s sudden lurches between advocating a strong federal government at one point and then arguing in favor of state power moments later, some scholars have accused the Federalist Papers of reading as if its author was a paranoid schizophrenic. Is it any wonder, then, that our nation’s history reflects this unresolved attitude toward who holds ultimate sovereignty? The primacy of the federal political power over state sovereignty has been advanced by the jurisprudence of Justice John Marshall, the Civil War policies of Abraham Lincoln, and the New Deal legislation of Franklin Roosevelt. The absolute sovereign power of the states to make political choices within their borders has been advanced by Jefferson and Madison in the Kentucky and Virginia Resolutions, by the secessionists during the Civil War, and by the leaders of the States Rights movement in the Twentieth Century. Article IV Section 4 should remind us that under our Constitution the sovereignty of the people is a national sovereignty. No state government, and no individual state population, has the power to take actions that threaten the political unity of the United States. The federal government is superior to the states because it is only through a federal government that a national people can exercise their sovereignty. No one denies that the Constitution forces the states into an economic union, even when they might prefer state protectionism. Nonetheless, to this very day, many people still argue in favor of an absolute state sovereignty to decide political matters within their own borders. By consistently overlooking the “Republican form of government” clause, we obscure the fact that the constitutional text imposes a political union on the states in a way that necessarily places a limit on individual state sovereignty. By rescuing Article IV Section 4 from obscurity, we can resolve the debate over federal supremacy once and for all. Thanks for bringing this clause to our attention, Professor. Last semester at Georgetown (for an LLM) I took a class on Public Corruption, where we covered various federal statutes to combat public corruption. The statutes were all grounded in the Interstate Commerce Clause. I pointed out that the republican form of government may make a better constitutional ground – if a state is so thoroughly corrupt that the feds must move in, then the feds are vindicating the people’s right to a republican form of government. Someone else had this idea already – Adam Kurland, The Guarantee Clause as a Basis for Federal Prosecutions of State and Local Officials, 62 S. Cal. L. Rev. 367 (1989). I think Adam Kurland’s article is one of the most persuasive law review articles ever written, and I have always been amazed that it is not bettern known and included on more Con Law syllabi. He is a former prosecutor whose writings combine real world experiences with a striking constitutional imagination. This is an interesting analysis of an esoteric constitutional issue. I was wondering what legal grounds the citizens of Michigan have since it appears to me that they being denied a republican form of government under the emergency manager law that has allowed the governor to commandeer local governments. Except, didn’t he go to war with the Tripoli Pirates to demand they recognize American sovereignty and our rights to trade peacefully? How would Article IV, Section 4 validate or invalidate regional governments within states ? here in Southern CA we have SCAG (SoCal Assn of Govts) that taxes, spends, direct billions in projects and is unelected. Is that Constitutional ? Thank you for posting this commentary on the “Republican Form of Government” clause. I was thinking the same thing in imagining a novel state government, without a legislature and traditional separation of powers, that the restriction means only no monarch is allowed, and private interests must be represented like the property-owning burghers of old, or stockholders today. Within this boundary, however, a state could still name a leader as a CEO or manager, with a fine title, who need never be replaced as long as the job is done well. Nothing says, in the republican form of government, a rowdy rabble has to rule in legislatures and councils. We can eliminate them, constitutionally. Thanks for the clarification. Previous Previous post: Seventh Circuit Criminal Case of the Week: What Can Be Inferred From a Lie?